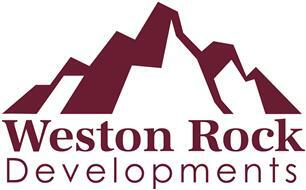 Weston Rock Developments - Builder, Driveways/Patios/Paths based in Wellington, Shropshire. We’ve got nearly five decades and two generations of experience in creating and installing beautiful surfaces in Shropshire and further afield. Set up in 1970 by William Brealey, we’re now run by his son, Mark. Over the decades, we’ve worked with some of the biggest names in construction, including Barratt Homes, Miller Homes, Persimmon Homes, Redrow Homes and Taylor Wimpey. Resin Bound - Resin bound is the latest innovation in surfacing technology which can be used anywhere there is a solid and sound surface. Whether it’s an overlay of an existing surface or a full excavation, we can create a beautiful resin bound driveway, pathway, bathroom or swimming pool surround – the only limit is your imagination. It’s easy to install and is up to third quicker to lay down than other types of surfacing. We only use a superior clear resin and premium quality natural aggregates, marble and recycled materials in a wide range of colour combinations. Block Paving - Block paving is a popular method of surfacing which can be laid in a range of patterns to give your home a decorative touch. We can create stunning block paving designs for driveways, pathways and patios. Tarmac - is a well-known method of surfacing which can often be a more affordable alternative than other materials. We can lay all types of Tarmac surface and also carry out repairs, especially around manholes and ironwork. We use cold lay material which is heated to improve compaction, saving on large quantities being collected from plant. Civil Engineering - We can also undertake a wide variety of other civil engineering work. This can help customers with their budgeting by getting all their work done by one contractor for a fixed price.